Your shirts are too large and extra slim isn't even slim fit. Response from Charles Tyrwhitt: It's certainly a shame that your first attempt to order with us proved unsuccessful. We have worked hard to provide shirts in four distinct fits - which cover the vast majority of customer builds. 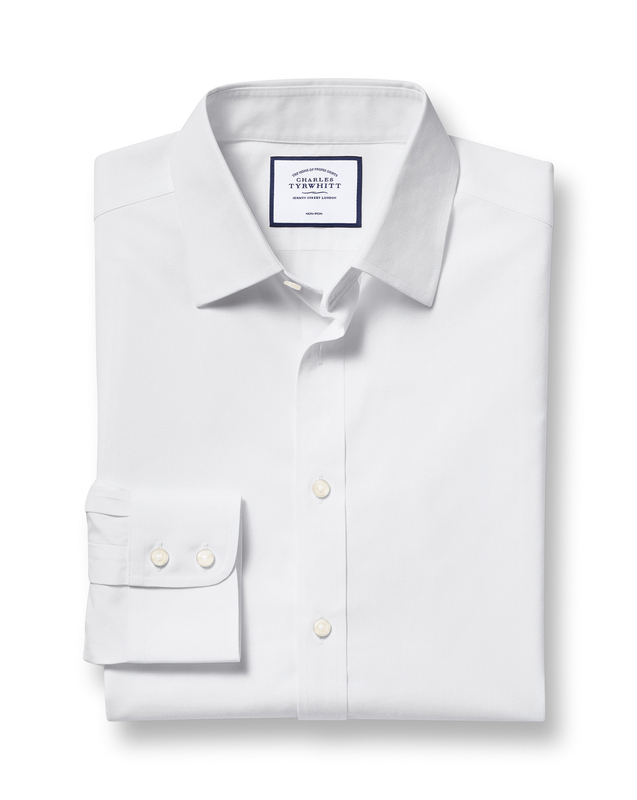 While the Extra Slim Fit is slimmer than most, it seems based on your collar size you do need a very slim shirt indeed. I would draw your attention to our new Super Slim Fit - offering an even slimmer fit which should be ideal for you. Please raise a return with us online at www.ctshirts.com/rebound and request Super Slim Fit - I really hope you will give these a try! Fits exactly right with quality finishes. Great shirts. Have bought them 3 times now and been using them for over 5 years. Great quality.